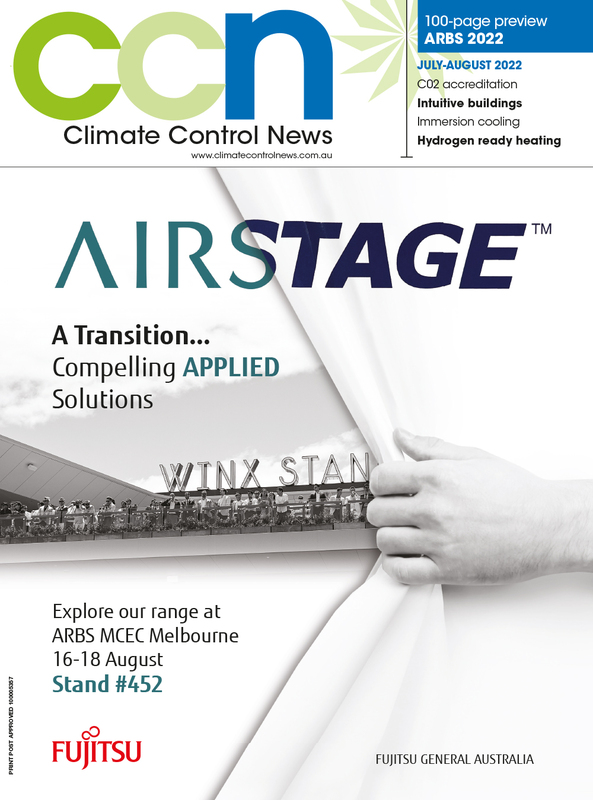 The HFC phasedown began on January 1, 2018 marking the biggest milestone for industry since 1935, according to Australian Refrigeration Association (ARA) president, Ian Tuena. In this article, Tuena explains the significance of the phasedown and how end users can future-proof their systems in the face of refrigerant shortages. It was back in 1935 that we saw the introduction of synthetic refrigerants. Back then the development of these refrigerants was hailed as a breakthrough. Their introduction allowed the refrigeration industry to flourish and grow exponentially creating a strong and vibrant industry. Unfortunately, we were later to discover the new wonder refrigerants were actually “boiling us slowly.” So began the slow, but inevitable phase out beginning with CFCs and followed by HFCs. With this in mind its worth questioning the long-term viability of the replacement HFO range of refrigerants. A recent study from the US National Institute of Standards and Technology tested over 100 million chemical compounds and found only 27 with Low GWP & ‘suitable’ performance characteristics. Clearly, we are coming to the end of the synthetic solution and the industry needs to realize there is no silver bullet. From here on it will be back to basics and where it all began i.e. ammonia, CO2 and hydrocarbons. Sure, there has been another round of supposedly low GWP replacement refrigerants introduced to the market and there is no doubt opportunities to use such replacements, but we should do so with our eyes wide open. The first thing we notice is that for the bulk of the replacement refrigerants, there is some HFC component in the mix. As the phase-down takes effect, the HFC component will become more difficult to obtain and will become more expensive. We are seeing this in Europe already with significant price rises. For example, the cost of HFC 404A has increased 11 times since 2015. Expect to see a similar scenario here in Australia. This week I was at a regional wholesaler and was informed that they (along with most other wholesalers) did not have any supply of R32; the new wonder replacement refrigerant now in millions of split air conditioners here in Australia. The reason given was that not all the components of the refrigerant were available. Surprise!! Only recently the Department of Environment assured us there would be no such shortage of refrigerant. We are only four months into the HFC phase-down with the first big kicker not scheduled to be phased in until 2023 and already we have a shortage. Stand-by for more “unable to supply” days ahead and prepare to pay a premium for refrigerant in short supply. Choose your refrigerant wisely and remember that R32 is also a HFC. The advice from ARA and the Australian Refrigeration Mechanics Association (ARMA) is for all stakeholders to realise that most replacement refrigerants on offer are only short-term solutions. They may or they may not endure with the life span of the equipment you are putting them into. Have a close look at the components in the mix and ask yourself how long will this be available? In the case of R404 it’s a no brainer, not long. How can you future-proof yourself? Clearly natural solutions have an advantage but all options including HFOs have engineering issues whether its toxicity, flammability or pressure. A new skill set is required and Education, Education, Education is the key. The industry needs to realise very quickly that the days of doing an apprenticeship and learning the rest on the job are long gone. Technicians today need to upskill, retrain and understand the systems in operation now. How many people in our industry understand the diesel effect? How many understand the toxicity of HFOs and R32 in the event of it being inhaled through a cigarette? How many firefighters are aware of the HF and COF2 combustion products of HFO1234yf, which is used in millions of vehicle air conditioning systems? How many mechanics understand that A2L refrigerants belong to class 2.1 dangerous goods, and this requires dangerous goods signage on your vehicle and workshop? Education and training allow us to lose the fear of change, but ensure we never lose the respect. In this brave new world, education and training are key. Unfortunately, government has failed to recognise this and effectively prepare industry for this transition. The train left the station on January 1 and not enough has been done. The industry must stand united and demand funding and training to allow us to meet the deadlines introduced by government. We must demand that the licence fees collected from industry are returned to us in the form of education and training to prevent injuries and deaths in our industry.